A man charged with causing the death of an off-duty community police officer is due in court this morning (Thursday 24th January). 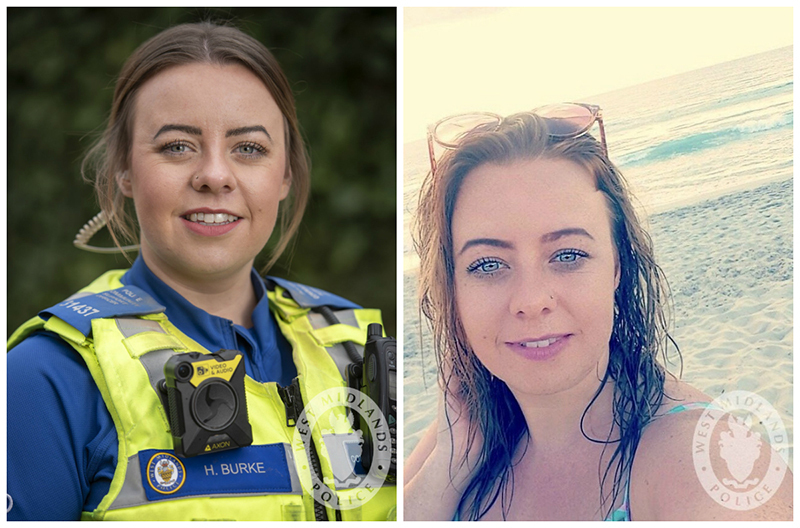 Holly Burke, a 28-year-old West Midlands Police Community Support Officer, was off-duty Tuesday night when she was killed in a traffic collision. Police said the driver of the car that hit Burke was 42-year-old Darren Ogom, of Longdales Road in Kings Norton. Ogom was speeding in his Renault Scenic when he failed to stop for police officers in Bearwood, according to West Midlands Police. Officers deployed a stinger in an attempt to stop the vehicle, but Ogom’s car continued at speed and hit Burke’s Fiesta. Burke tragically died at the scene. Ogom has been charged with causing death by dangerous driving, driving without a licence, driving with no insurance and failing to stop for a police officer. He is due in Birmingham Magistrates Court. Burke was based in Nechells as part of the Washwood Heath neighbourhood team. She had been a PCSO for 14 months. Witnesses or anyone with information are asked to contact the Serious Collision Investigation Unit via email at FL_COLLISION_INVEST@west-midlands.pnn.police.uk, live chat at west-midlands.police.uk between 8 am – midnight, or call 101 anytime.